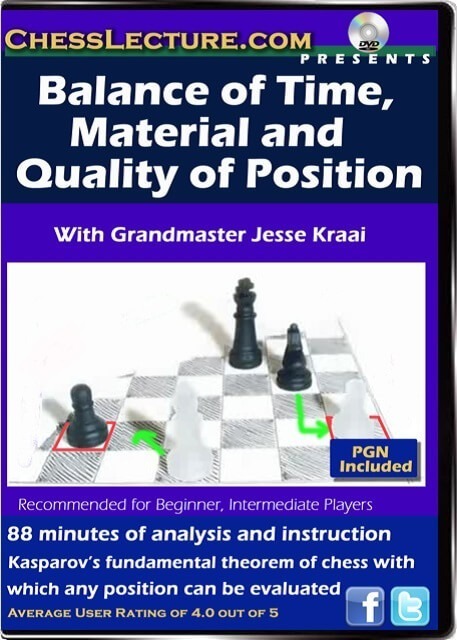 Members of ChessLecture.com rated this series a 4.0 out of 5 Fans on Chesslecture.com said: This game really shows that material in many cases may not be the most important factorlike many players think. GM Jesse Kraai resides in Berkeley, California. His most notable chess achievements are winning the Denker Tournament of High School Champions in 1989 and 1990, and competing in the US championship from 2002-2006. 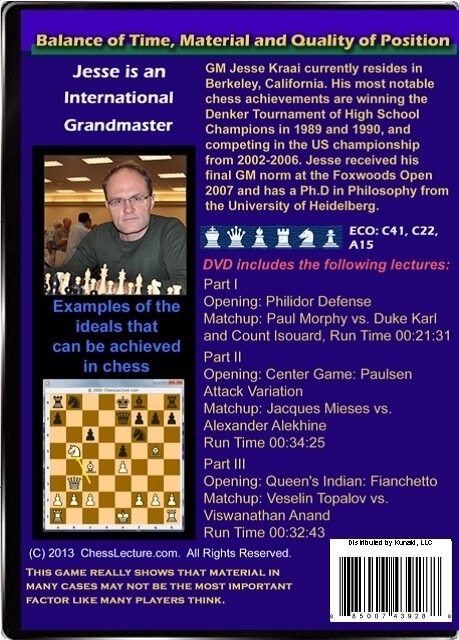 Jesse received his final GM norm at the Foxwoods Open 2007 and has a Ph.D in Philosophy from the University of Heidelberg. Jesse is an active chess coach.